The temperature during summertime in Chicago can get hot enough to make the interior of your garage uncomfortable to be in. It is beneficial to be proactive during the spring by updating your garage to prepare it for the oncoming hot weather. There are a handful of steps you can take in order to protect your garage from the summer heat. It is important to try to remove all of the hot air out of your garage. One way to do this is by opening the garage door itself or by leaving the garage windows open for a few hours. Once most of the hot air is gone, you can then begin creating a constant circulation of cool air. If you want to spend a little extra cash, another option is to install an exhaust fan in the garage ceiling. Circulating the air with a fan will be useful for creating a consistent air flow. Dark shades attract the sunlight and may cause the interior of your garage to heat up quickly. By painting your garage a lighter color, you will allow the sunlight to reflect off the garage’s walls. So, choosing a shade such as white or cream is one way to decrease the temperature in your garage. Weatherproofing your garage is not only key in keeping the heat out, it will also provide the warmth you need to stay inside your garage during the winter. So, applying insulation is a win-win situation. In addition, make sure to inspect the edges and corners of your garage thoroughly so that you do not miss any cracks. Once that is complete, you can fix any opening with caulking and weather stripping. The next step is to install insulation around the doors and windows. You can even place insulation on the walls and ceiling to maintain a comfortable temperature in your garage. An all-natural way to block the sun from beaming down on your garage roof is to plant trees in just the right places outside the front of your house. This can reduce the sun’s impact and create a comfortable, shaded area during those peak sunlight hours. There is a small air conditioning unit called a “mini-split” that gets its name from being spilt into an inside and outside unit. These AC units can be effective in cooling a specific area as they are small in size and do not produce much noise. 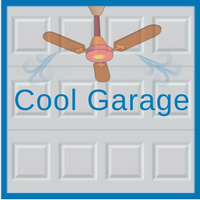 For more information on how to keep your garage cool during hot weather, contact our garage experts at Blue Sky Builders today. 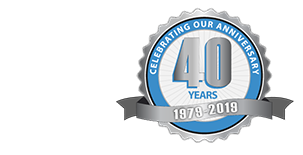 We are here to help provide our clients with their specific garage needs. Visit us online at www.blueskybuilders.com, or call us today at 630-852-8485.